Deepika as a rule didn’t give money to beggars unless they were old or crippled, but the sight of the young man (who obviously wasn’t a sadhu) had her reaching for her wallet in spite of herself. It wasn’t his appearance though that reached her heart. In truth, his matted hair strewn with lice eggs, scraggly beard, and vomit stained remains of a t-shirt were more likely to evoke revulsion than compassion. What got Deepika breaking her rule was rather the aura of tremendous emotional suffering that surrounded and emanated from him. Experiencing a rare moment of genuine pity, Deepika bent over and dropped a five rupee coin into the metal bowl in front of the young man. He was staring at the ground but after the coin clinked into his bowl he suddenly looked up. Deepika smiled at him compassionately but her smile changed into a pensive frown as she realized he looked awfully familiar. Then her eyes widened and her mouth gaped as recognition hit her like a blow. But Jamal said nothing; he just stared at her with a dull vacant expression. Deepika found it quite unnerving and turned around and quickly left. Jamal disinterestedly watched her go. Then, once she disappeared into the thronging crowd of people coming in and out of the train station, he shifted his gaze back to the crack in the cement in front of him intending to let the surge of wrath, self-pity, and broken heartedness in which he had spent most of the last six months engulf him once again. But then his nose caught a familiar scent of cologne. Jamal remembered instantly where he had smelled that cologne before and was filled with a boiling, seething hatred. Grinding his teeth Jamal slowly looked up into the sunglass covered eyes of Prem Kumar, the host of Who Wants to Be a Millionaire. “Oh, I wouldn’t try that if I were you Jamal,” Kumar said and then turned his head indicating over his right shoulder. Jamal looked and saw two police officers. One was shooing away curious onlookers and the other was glaring at Jamal and tapping his nightstick in his hand. The thought of being tortured again put a check on Jamal’s anger. Still fuming, but cowed, he looked down at the ground. His mind went back into the past remembering the seemingly heartfelt letter he had received from Kumar expressing his profound guilt and regret over how he had tried to trick Jamal on the cricket question and then had Jamal tortured and interrogated by the police. The letter ended with a request that Jamal please come with his lady to have dinner with Kumar at his home as a token of his goodwill. The letter had seemed so sincere that Jamal found it impossible to refuse. But it had been a lie. All Kumar had wanted was to get to her. Jamal dumbfounded just looked at the ground. “She never loved me,” Jamal said. “That’s enough!” Jamal said looking up angrily. “All right then, you’ve given me your lesson and humiliated me even more in the process. Is it enough for you now?” Jamal asked. 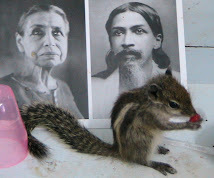 Kumar then took a one rupee coin out of his pocket and flicked it into Jamal’s begging bowl. “Don’t spend it all in one place,” he said. Then he got up and began to walk away. At this final insult Jamal’s rage flared up again and in that moment he couldn’t have cared less about going to jail or being tortured. He started to rise but then as quickly as it came the rage was expunged like a candle flame by the wind and he sank back down defeated. Jamal eventually got his bottle of wine and after guzzling it down passed out outside the train station. He managed to sleep until about 2am when he was awakened by the deranged shouting of one of the other derelicts. As the shouting continued he lay still, not wanting to worsen his splitting headache. Feeling around in the bag where he kept his few possessions he found he still had a few rupees. It was enough to get some tiffin, but nowhere was open yet. Despite his hangover he was wide awake and the guy was still shouting so he decided to take a walk. As Jamal walked through the sleeping streets the feelings of betrayal and anger rose and took possession of his thoughts. For the millionth time he agonized over how things could have turned out like this when it seemed that the hand of God itself had brought he and Latika back together. But the fairy tale ending on Who Wants to Be a Millionaire had just been the beginning. After he and Latika were reunited the world itself had sat up and taken notice for a while due to the incredibleness of the story. Heartfelt letters had come pouring in by the thousands from people who’d been inspired by a tale which had renewed their faith in God and love. He and Latika had been media darlings appearing on talk shows both in India and abroad. They were in negotiations for a book deal and a movie. The Colors network had offered to pay for a lavish wedding and reception which would come as the finale of a reality TV show about the planning and preparations for the nuptials. Colors was also going to foot the bill for a dream honeymoon in Paris. It had all seemed more perfect and magnificent then he could have ever possibly imagined. Then he woke up one day and she was gone. No note, no explanation, nothing, just gone. That had been devastating enough, but it only got worse when he discovered first that she had emptied their joint bank account and second that she had ended up in the arms of Prem Kumar. At this point Jamal was so caught up in his mental story he was walking on automatic pilot, and for all intents and purposes oblivious to his surroundings. Then he kicked a glass soda bottle that had rolled into the street and was brought by that sharp pain back to physical reality. He quickly sat down on the curb. The worst of the pain in his big toe subsided quickly and though it felt sore he could move it so it didn’t seem to be anything too serious. And with that Jamal hiked up his lungi, squatted down and defecated on the doorstep of the temple looking Kali squarely in the eye and chuckling and grunting as he did so. And with that he turned from the gate and stormed off, but after a few steps he was taken by the urge to partake of one last spiteful act. Jamal spun around intending to spit in contempt at the temple, but his foot caught on a crack in the sidewalk, and he went flailing forward face first into the pile of his own excrement. For a few seconds he lay there too stunned by pain and surprise to move. Then he slowly lifted his head out of his feces, and at that moment Jamal Malik hit rock, rock bottom. He fell to his side in the fetal position and with a cry of rending anguish and despair at all he had lost and how far he had fallen, Jamal began to weep. But this was no ordinary weeping, this was a literal gushing river of tears and sobs he could not have staunched even if he’d wanted to. As the grief poured forth Jamal felt his head begin to vibrate, and then that vibration spread first to his chest, then into his arms and trunk until his entire upper body was vibrating intensely. The weeping continued for about ten minutes more and then subsided almost as suddenly as it had come. Jamal lay there for a few moments as his upper body continued to vibrate intensely. After a short time though the intensity began to diminish and he slowly sat up and realized he felt better than he had in a long, long time. He felt purged, cleansed, like a burden had lifted from him. He felt a lightness inside him and a quietude of his normally grinding thoughts and the siege of his negative emotions. With some discarded newspaper that was laying on the ground he wiped the excrement from his face and then got up and slowly walked away from the temple. He walked through the streets on automatic pilot again but in a different way than before. Whereas earlier he had been walking along lost in his mental story, now he was sort of lost in his senses, seeing a strange sort of beauty in the ugliness and filth of the Mumbai streets. And as he walked something else arose, something he felt rather than saw. It was a warm loving presence he felt all around him that was watching over him, keeping him safe. He even felt at one point what seemed like an invisible finger caress his cheek and an unseen hand nudge him ever so slightly to the right to keep him from slipping off the curb. But what amazed him the most about the presence was how motherly it was. Then slowly that presence faded and was replaced by a wonderful joy as he realized he’d tasted the presence and love of the Divine Mother. Now his mind became more active and a number of realizations suddenly came to light. He recalled the horror of seeing his mother killed and the trauma of that loss and realized his fixation on Latika had been an attempt to fill that void and assuage that grief. He also saw crystal clearly that no human being whether his mother, Latika, or anyone else, could ever fill that void inside him or give him any lasting satisfaction. And with astonishment he saw that the Divine had been holding his hand all along, first through the false promise of Latika and then through the complete destruction of his life in order to bring him to the point where he could see that this love of God he had experienced earlier, this incredible motherly love, this, THIS was the love he wanted! Jamal paused and realized his meanderings had taken him almost back to the train station. Then with shame he recalled his desecration of the Kali temple and, he set off quickly to find it. He knew more or less the general area it had been in and was able to finally come upon it. It was still dark when he arrived but he was pleased to find the temple’s priest was just then arriving and was eyeing Jamal’s offering on the temple’s doorstep. Falling all over himself apologizing Jamal told the priest who he was and admitted what he had done and said he would clean up the mess right away. The priest of course knew who Jamal was but he was understandably a bit wary. There was such a radiance though about the boy shining through the vagrant exterior that the priest couldn’t help but agree. Jamal quickly cleaned up the mess and then proceeded to tell the priest the whole story starting with encountering Prem Kumar earlier in the day. The priest was fascinated but also at the same time a bit disgruntled, since nothing like that had ever happened to him. He was able to put that aside though and asked Jamal what he wanted to do next. Jamal voiced his desire to get off the streets and get his life back together. The priest thought for a moment and then led Jamal to the back and gave him a fresh lungi and told him to take a bath. Jamal did so and afterwards the priest gave him 1,500 rupees and told him to get some breakfast and to go to the market afterwards and get himself a set of shirt, trousers and sandals along with a haircut and a shave. Jamal did so and then returned to the temple getting a lot of attention along the way, as he was now easily recognizable without the matted hair and beard. When he got to the temple he changed into his new clothes. The priest then handed him a new shoulder bag. Deeply touched Jamal embraced the priest and thanked him for everything he had done for him. Jamal had about 100 rupees left over and tried to return it to the priest, but the priest refused and even insisted that Jamal take 100 more and he did so graciously. Then with a Namaste they parted. As he walked away from the temple Jamal suddenly realized he had no idea what he was going to do next. A tendril of fear crept into his heart but then he remembered feeling God’s love, and it passed. He paused for a moment as he wondered why the experience had been so fleeting. Why wasn’t he conscious of that presence and love all the time? What did he need to do to have it again? He didn’t know but he was determined to find the answer. The more pressing question at the moment though was what to do now? As he pondered this it occurred to him that he should go to the call center where he used to work as a chai-wallah and see if he could get a job there, not as a chai-wallah though. He was after all a celebrity. Even if that didn’t work out, he knew he could find something. His downfall was no doubt well known and there would be plenty of people who would be willing to help him get back on his feet. So with faith and hope Jamal Malik set out on his way on the spiritual path. He didn’t know where life would take him, but he knew now that God in the aspect of the Divine Mother was loving him and watching over him and that all he needed to do was to rely on Her. He’d had a glimpse and that was enough to begin. I just put on the program. And there I am picking my nose. Do you know how long this take to caliphate? All this soul on God. Putin can’t resist his race. Putin can’t resist his change. Mine comes before the lawnmower. It’s not going to harm anyone. With all this holy see. I don’t know how long ago the slogan. That’s just all wrapped around my shorts. In everything you do wrong. Not gathered by the moments. Since you’re not here to do wrong. Now open the inner consciousness. Mysticism you’ve been labeled before. You’ve got to reach deep. In everything you do throughout the day. Bring your conscious down into the well of soul. Can I give you instructions to soul? This is larger than dream. It’s not a vision you have in the night. Spirit has no matter aboard. This is a good night’s sleep. On that arc of sleep. Remember even a calling card. This you have to take down yourself. You wouldn’t get caught with your pants down here. Inner exploration’s not in a rulebook. How do you pass this test? But to get you clean. What is it thou hast in thy heart for me? Now clean now come take a look. No sparkles of the sun giving rise to vision’s old tired eyes. Is the earth child’s labors towards. Is something larger than Time. It’s time to get my medicines. What it knows about itself. How big over your head this is. There was nothing to describe it with. You see all at the same time. With me it was how many days. Ever we stand and deny. This is the fire at night. A long yearning brings them close. Its eternity rushing through Time. Purged with fire from the Gods. Thus the soul is absolute. The Absolute of which we speak. Is the anthem of the stars. The journey towards our spirit’s absolute. And you came to believe it. This is not a castle of dread. Everything reminds you of God. It’s not a habit anymore. Can we show you reality’s face? The strings of the night are broken. The day brings you its golden rope. That Something has occupied the hours. Events ride the figures of his touch. Memory’s longings are his hue recorded. And the heart is occupied. A glow along the body is found. What hast thou of Time and all the rest? The greatest has yet to come. What hast thou of sin? I’ve walked this one home. Shouldering ego off the map. Now, almost rung the doorbell. For the pain I caused.